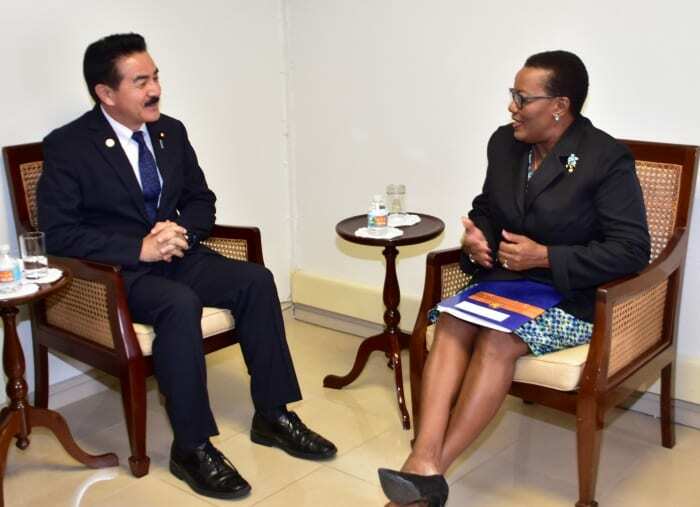 Barbados’ Minister of Foreign Affairs, Senator Maxine McClean and State Minister for Foreign Affairs of Japan, Masahisa Sato, focused on education as an important plank for further cooperation between the two countries during a courtesy call on Tuesday. 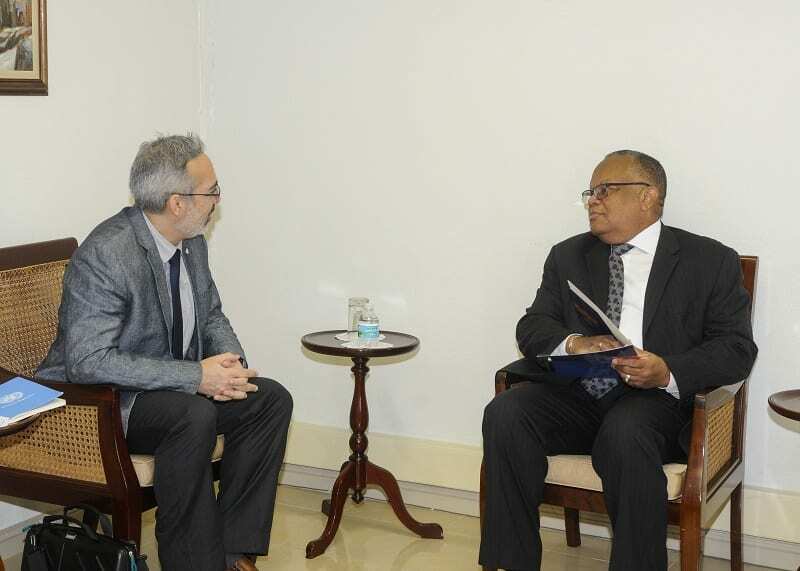 The Japanese envoy, who was on a two-day visit to the island, also highlighted other areas of cooperation, including maritime security, fisheries and disaster risk management and mitigation. 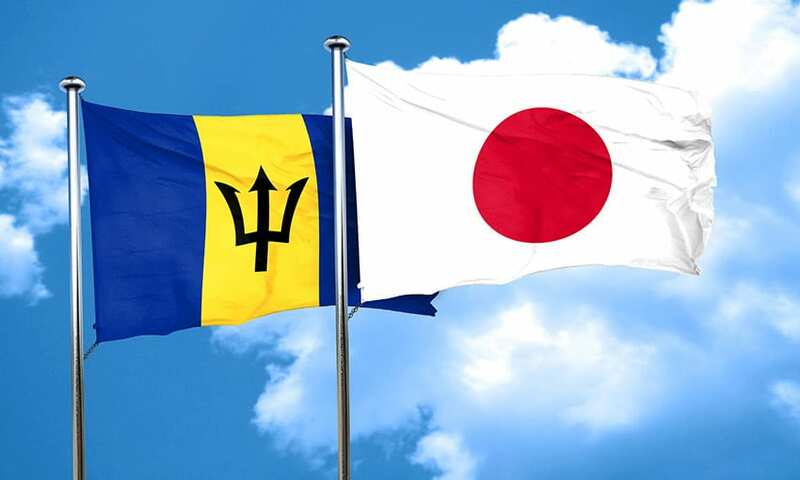 Minister McClean said that Barbados was very interested in taking advantage of training opportunities in Japan, particularly in the area of language. She added that she would like to see more young people taking advantage of scholarships to learn the language. 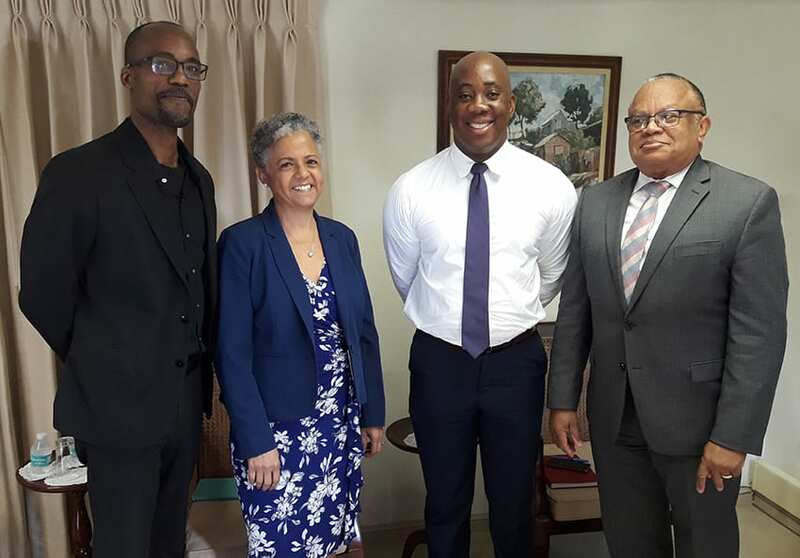 She said it was also important that Barbados worked with Japan to explore more opportunities, not only at the level of formal university education, but also for shorter focused courses. 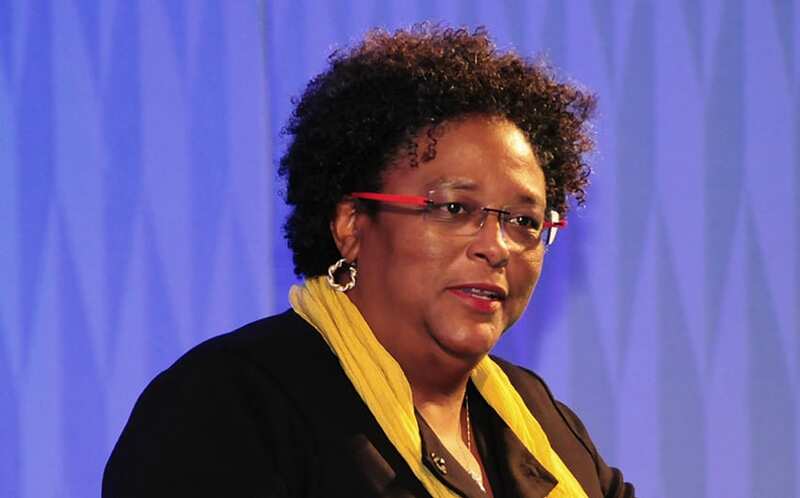 She recommended that in addition to people travelling to Japan to benefit from scholarships, more emphasis could be placed on sending Japanese personnel to Barbados so that larger groups could be trained, particularly in the cultural industries – film, animation and related areas. 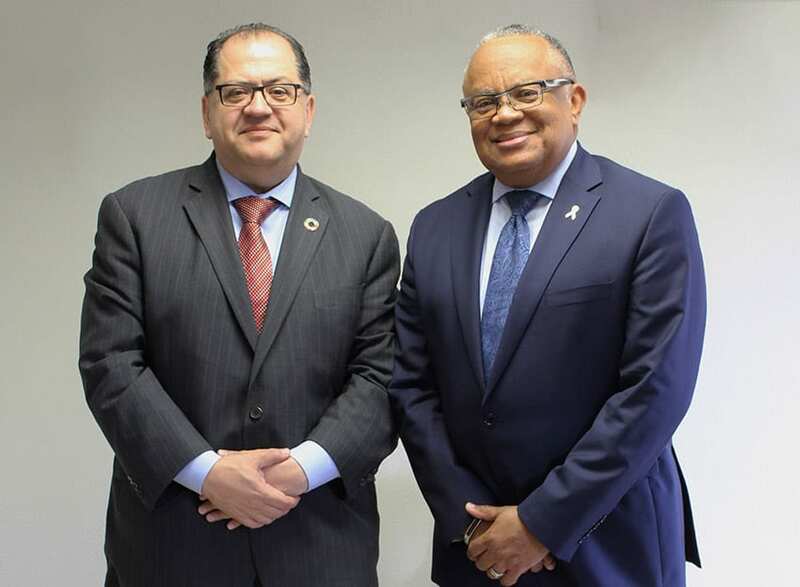 The Minister of Foreign Affairs thanked Japan for its assistance in respect of disaster preparedness and post-disaster recovery. 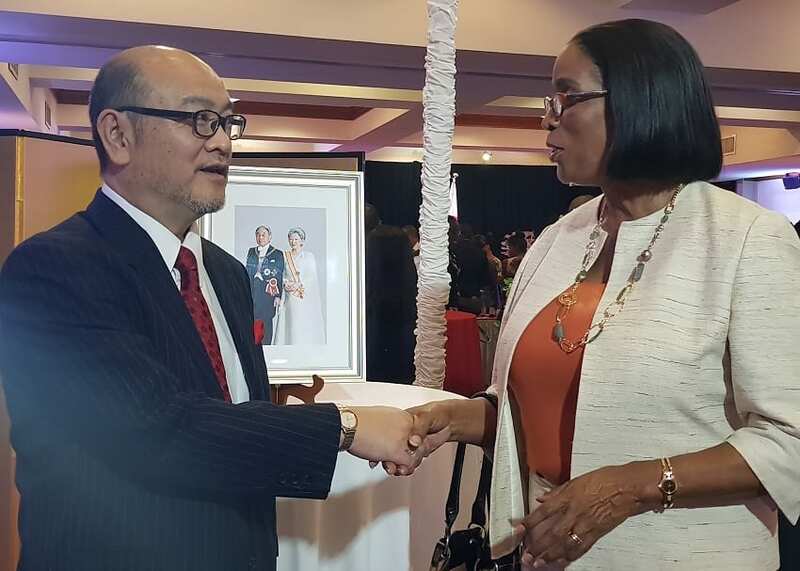 Noting that Japan’s experience and expertise in this area, she said that Barbados appreciated its contribution to the island’s capacity to respond. 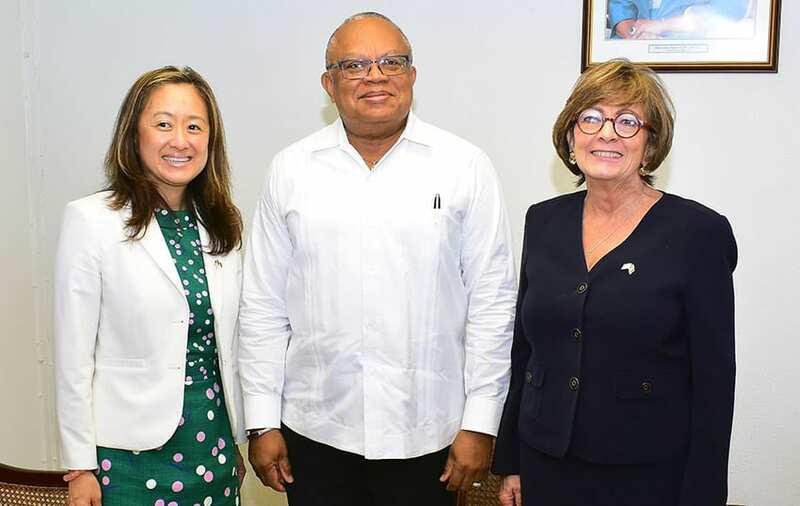 Meanwhile, the Japanese State Minister also met with Minister of Culture, Stephen Lashley, in the Minister’s conference room at Sky Mall on Tuesday. 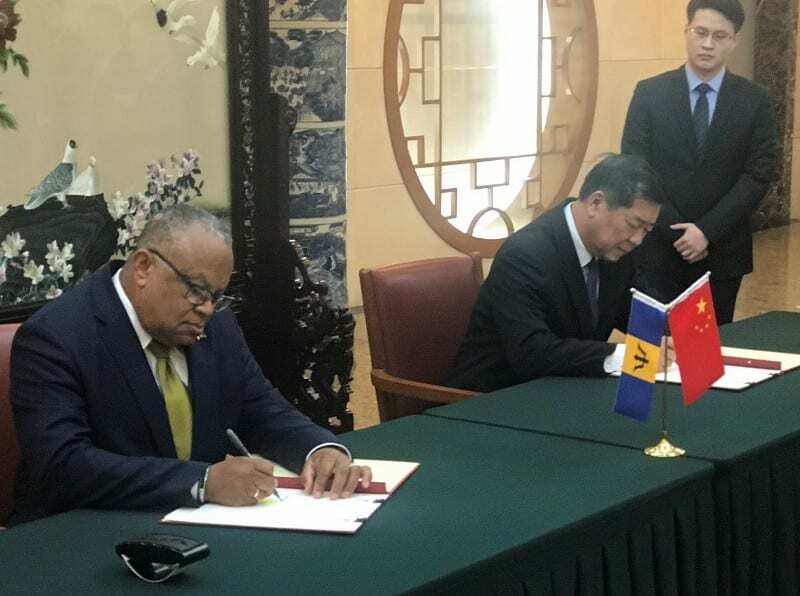 Mr. Lashley noted that the state of the two countries’ relations could be seen in the recent signing of a Memorandum of Understanding that focused on sports. 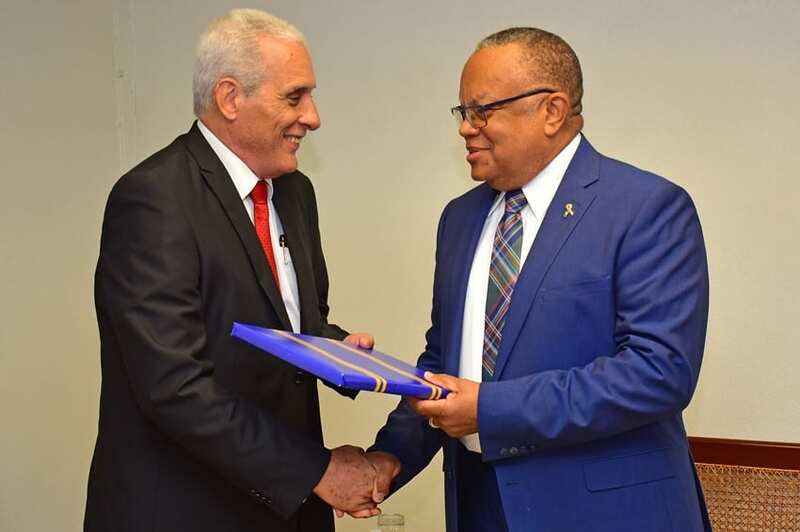 While reflecting on the continually developing relations, the Sports Minister said that it was his hope that the two nations would collaborate in areas within the cultural industries. 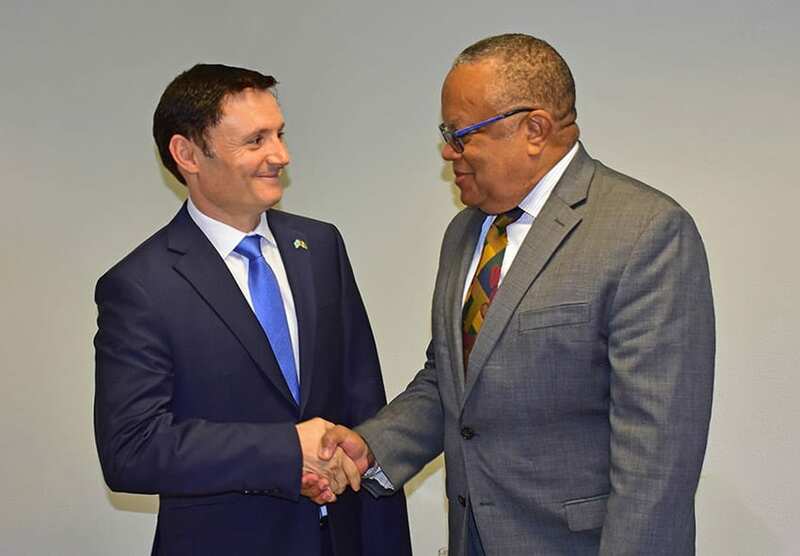 He specifically mentioned his interest in the possibility of Japan lending technical assistance in the closed captioning of local films, as well as expanding Barbados’ reach in fashion to Japan. 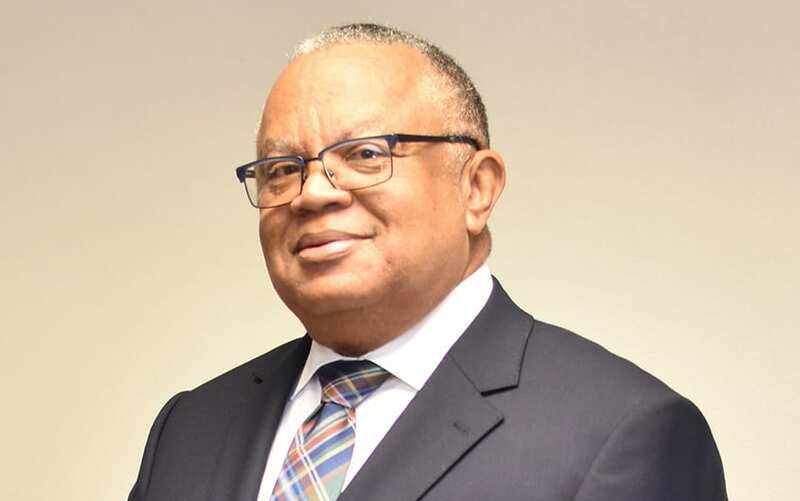 Mr. Lashley further noted that following the 2020 Olympics in Tokyo, he hoped that the opportunity would arise for Barbadian athletes to visit Japan for further training. 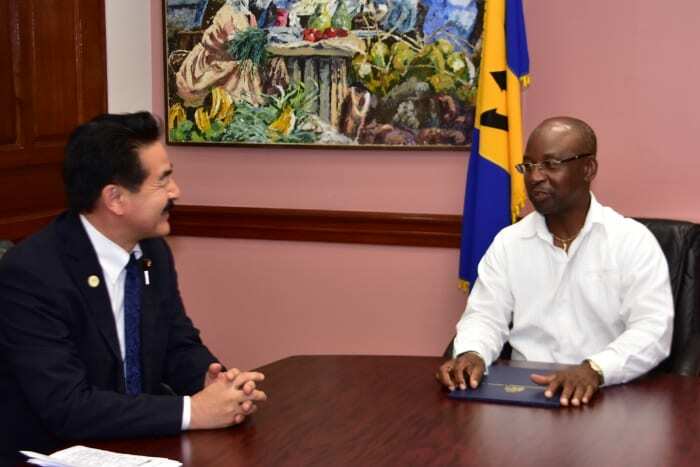 In response, the Japanese State Minister for Foreign Affairs noted that his Government was implementing a sport initiative that would see judo experts from Barbados visit Japan in July. 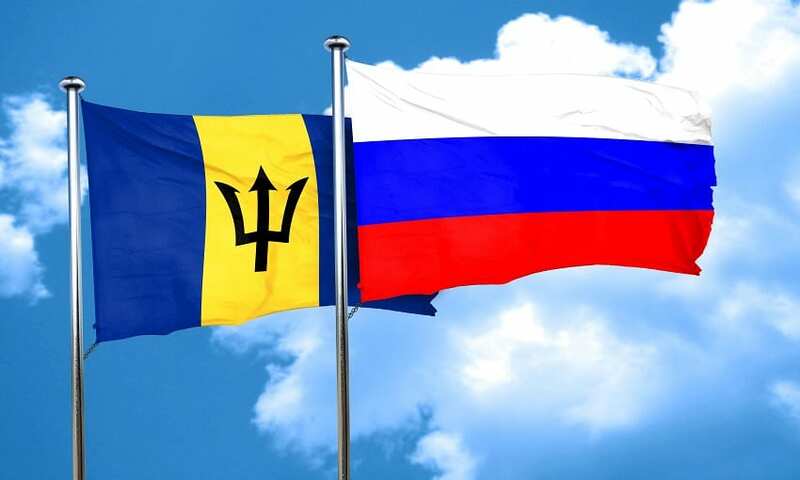 Barbados and Japan have enjoyed more than 50 years of diplomatic relations.